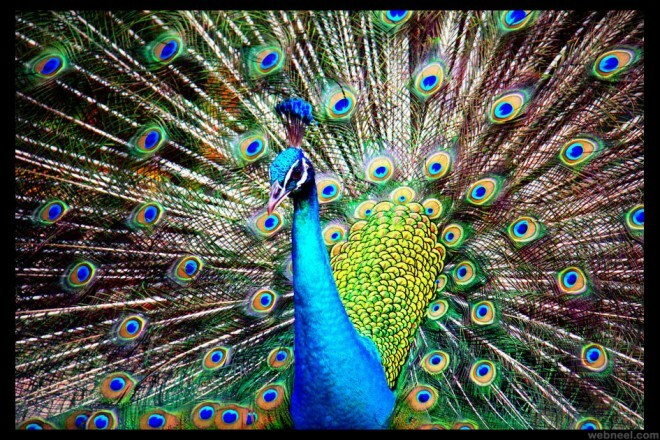 Peacock photos: Peacock is the national bird of India and it's one of the most colourful and stunning birds in the world. 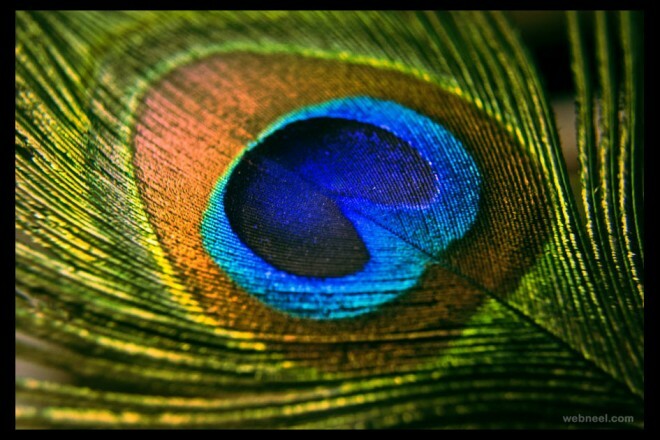 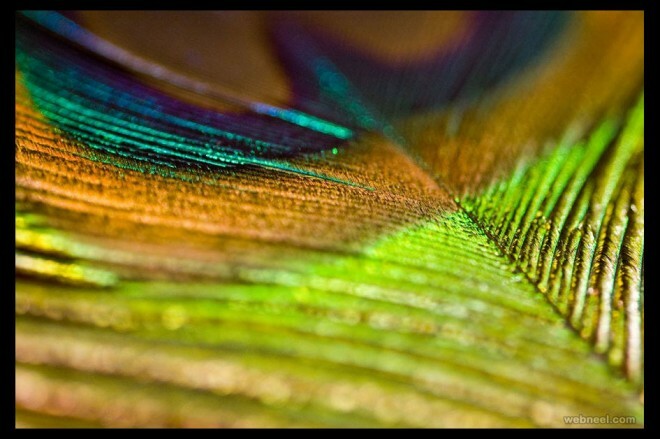 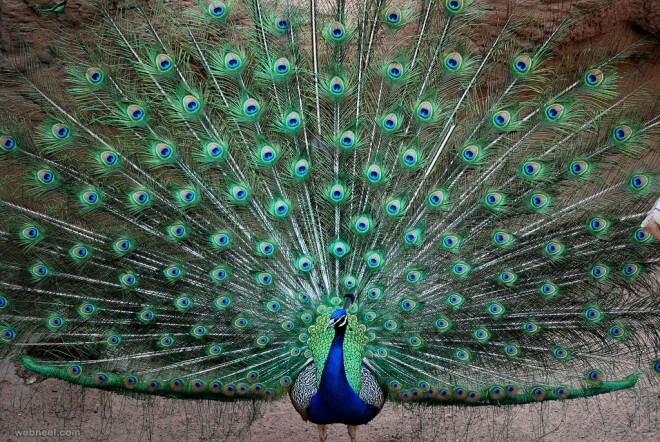 There is a myth that when a peacock opens it's feathers, it's bound to rain. 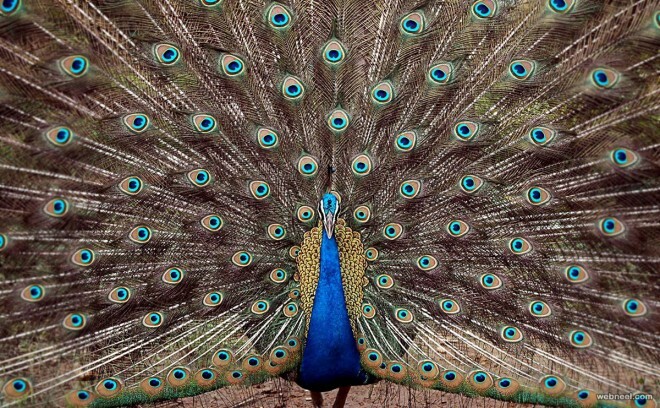 Well even if it doesn't rain, it's fascinating to see a peacock with its open feathers. 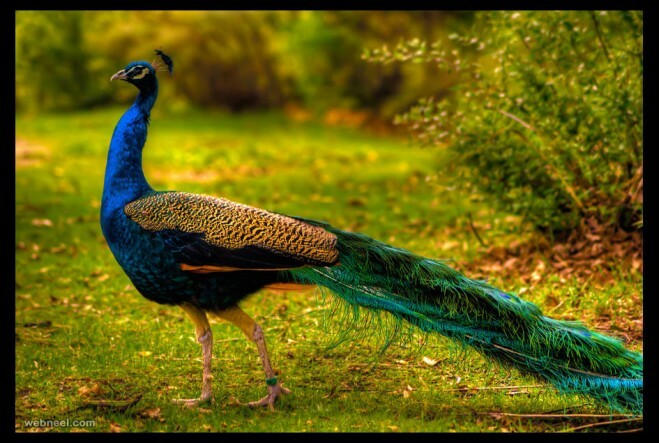 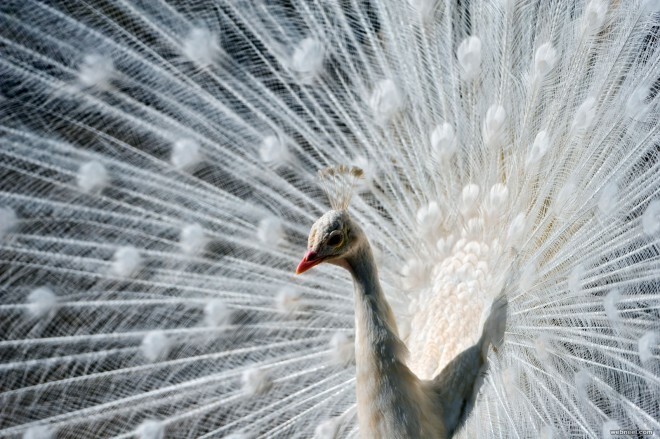 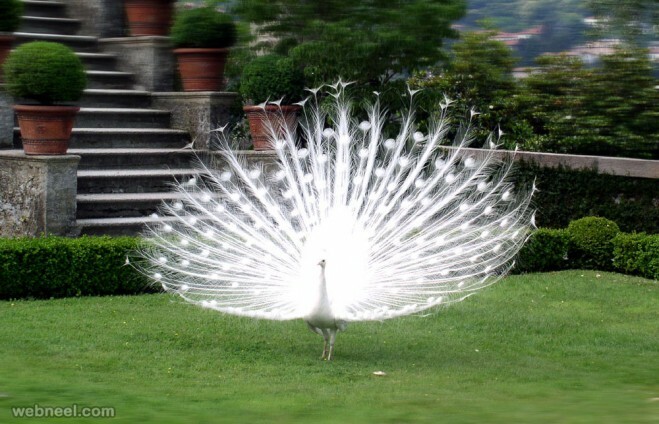 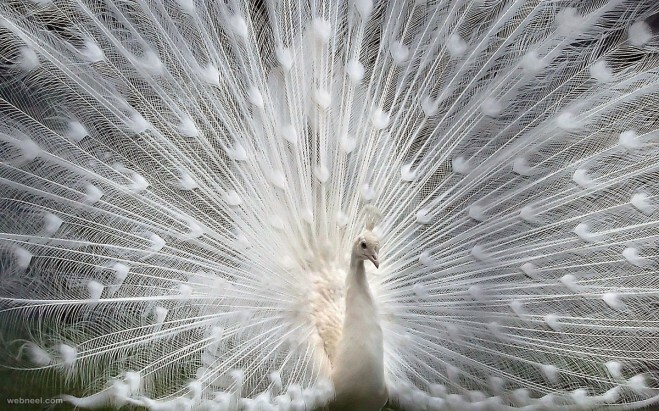 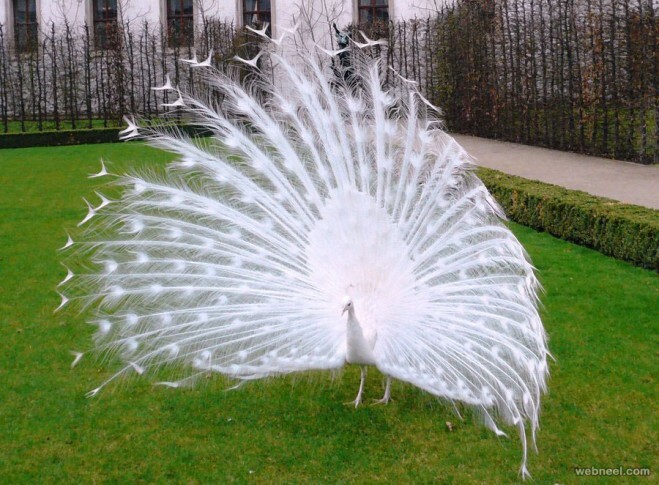 You might have come across many peacock pictures and peacock photos in the internet, but we have collected the best 30 Most Beautiful Peacock Photos and White Peacock Pictures which is sure to mesmerize you. 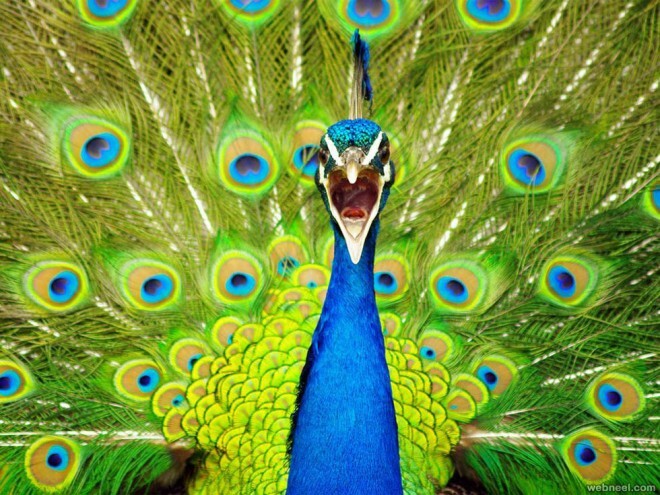 Peacock is one of the most proud looking birds. 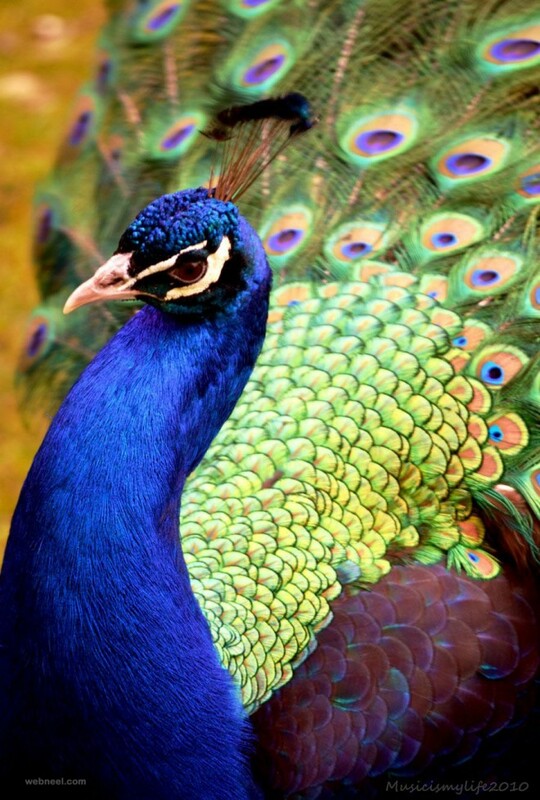 Peacocks survive on eating insects, plants and small creatures. 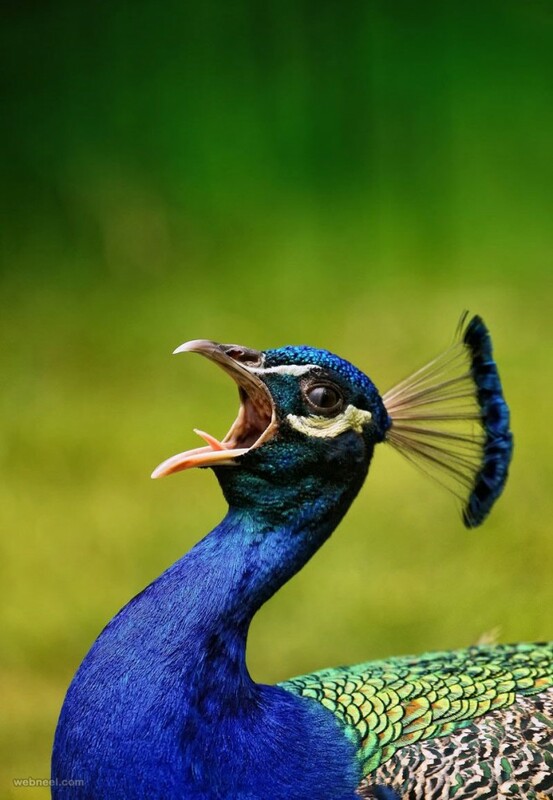 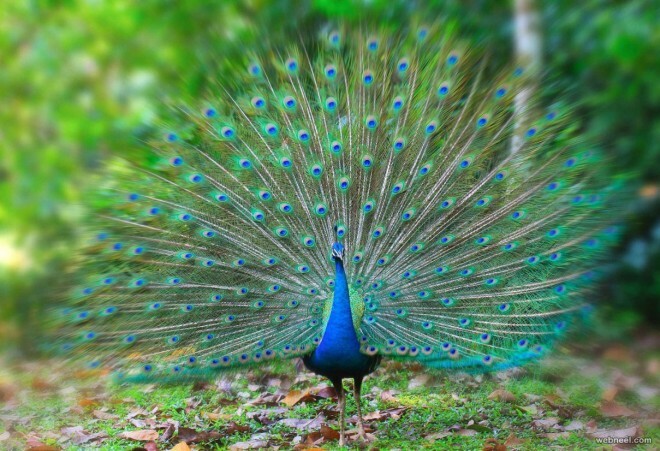 There are two peacock species available, the blue peacock lives in India and Sri Lanka, and the green peacock is found in Java and Myanmar. 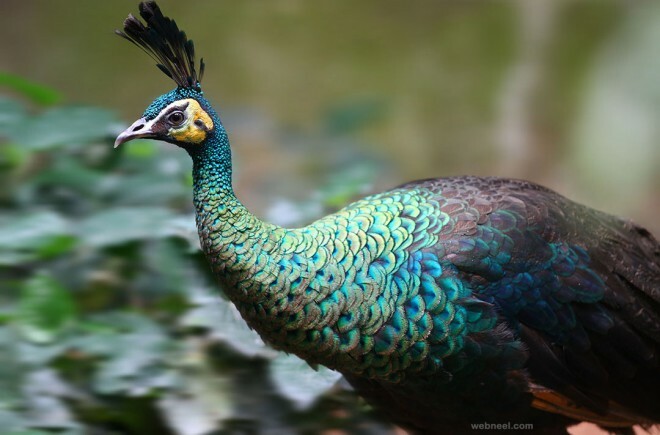 The term peacock is properly reserved for the male, the female is known as a peahen, and the immature offspring are sometimes called peachicks. 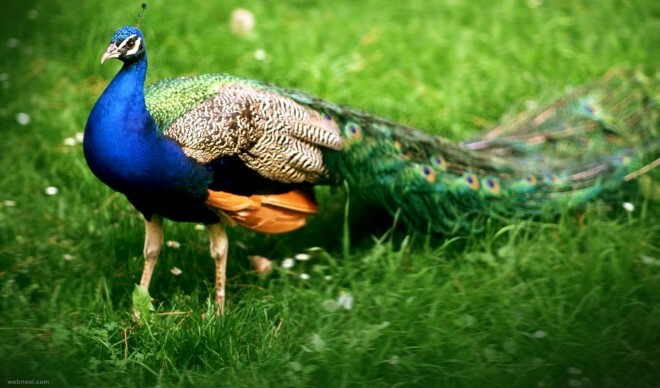 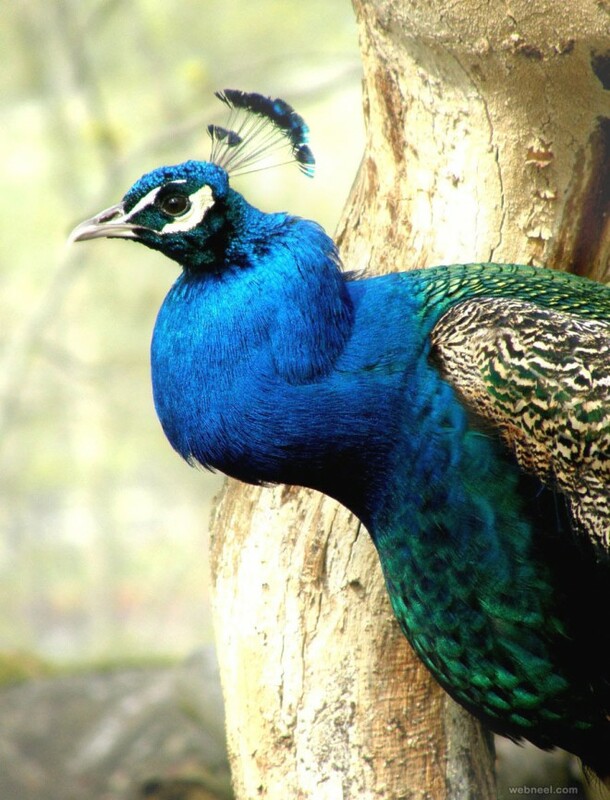 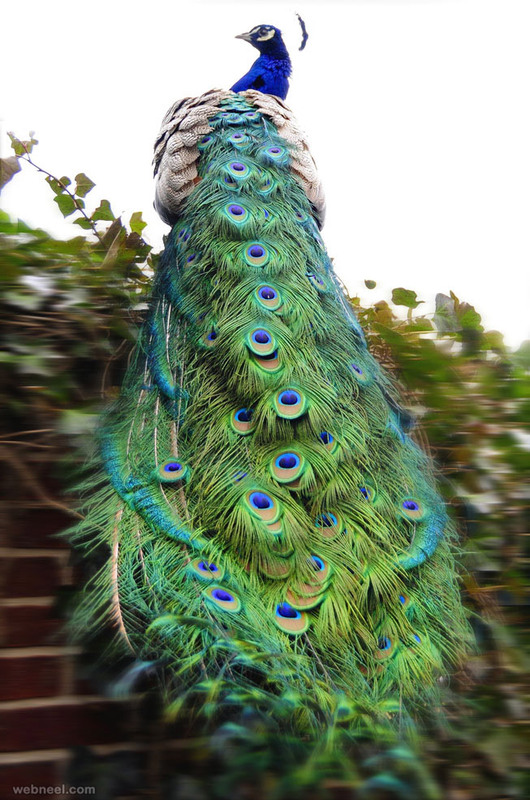 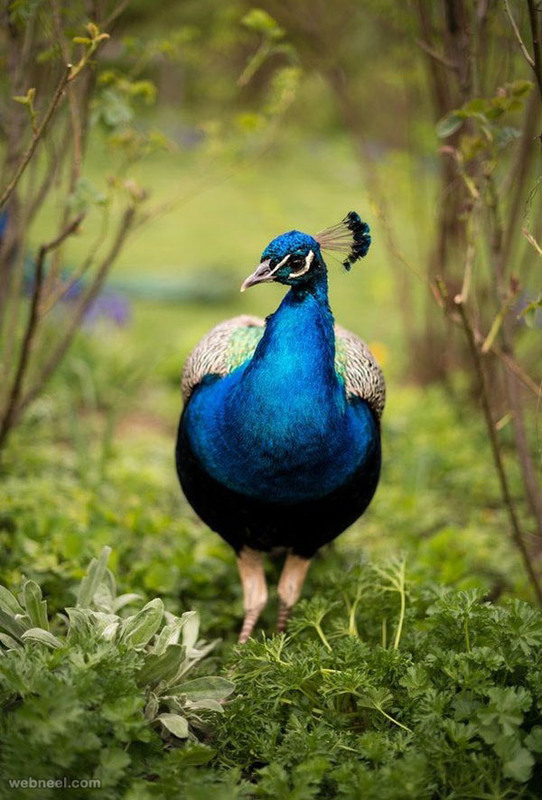 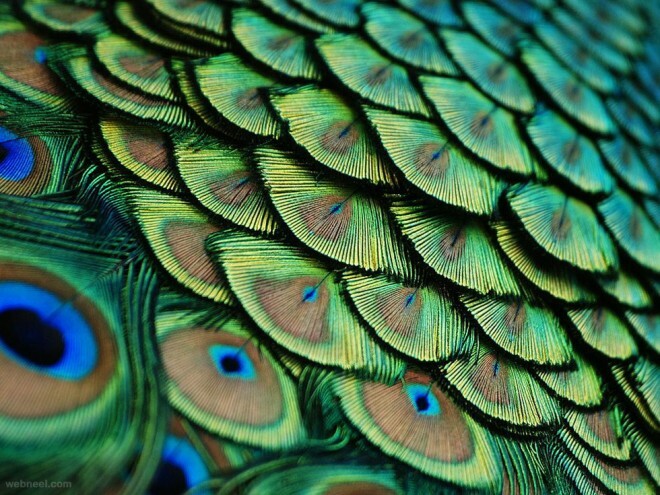 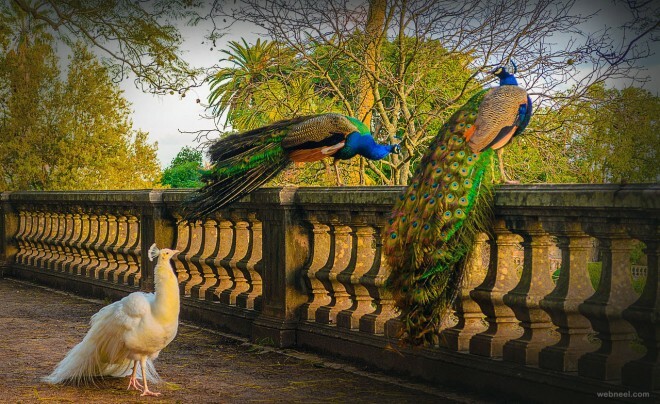 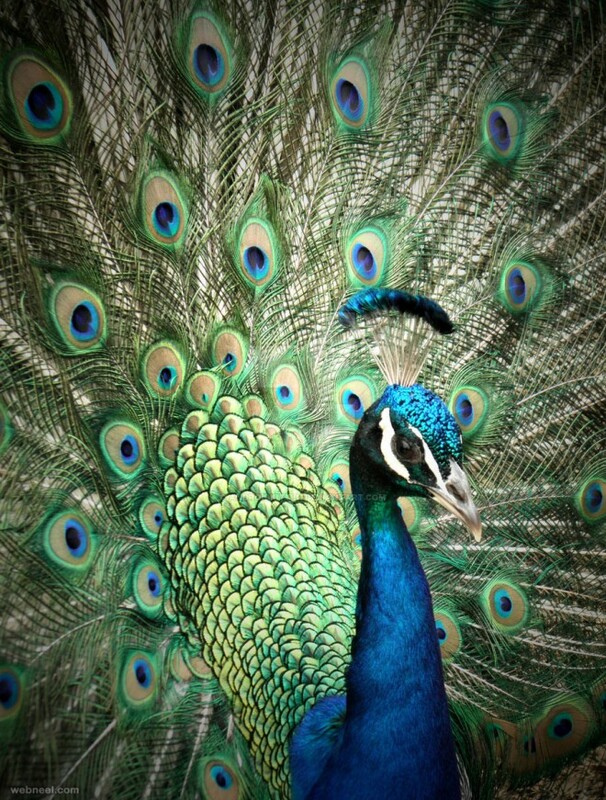 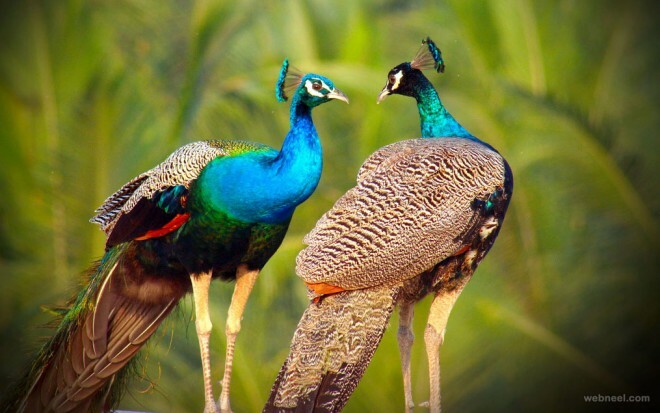 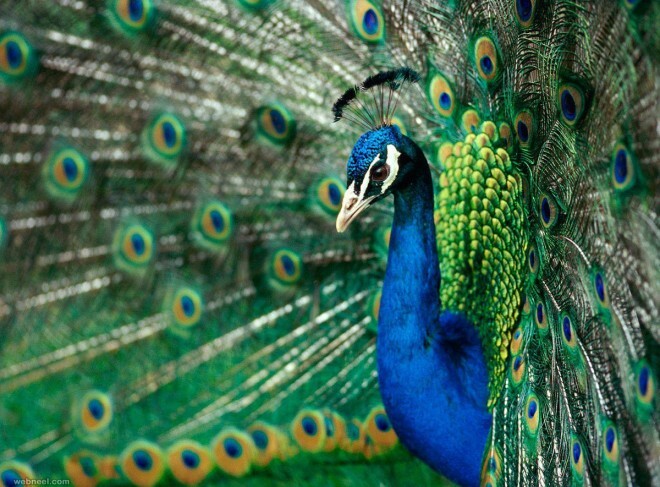 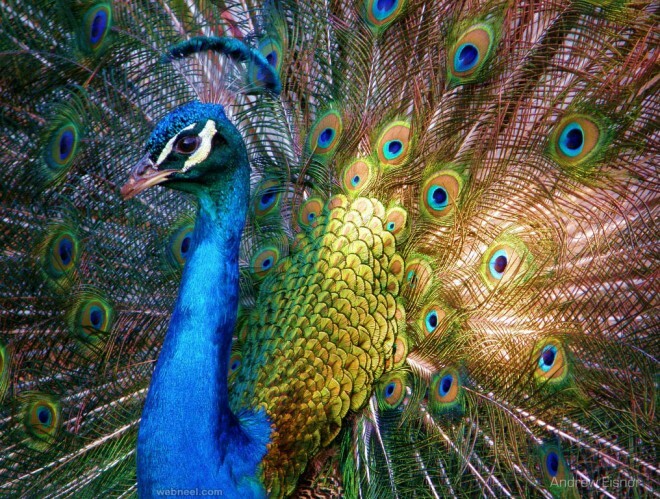 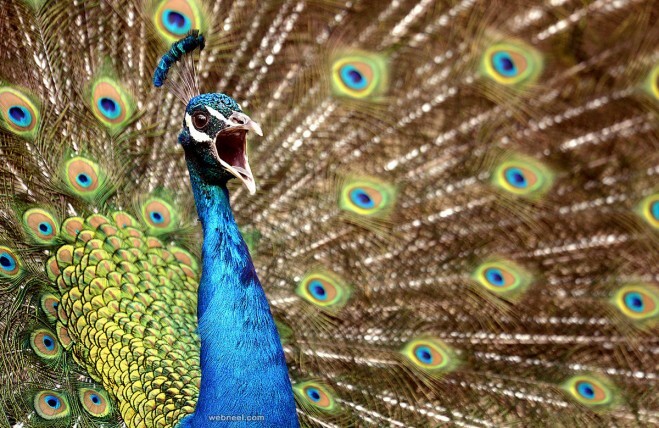 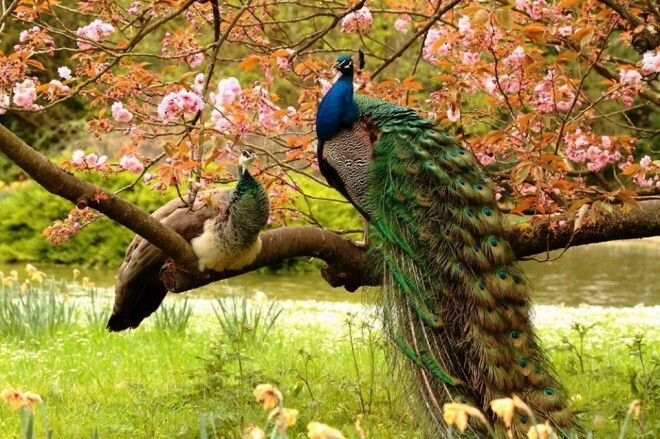 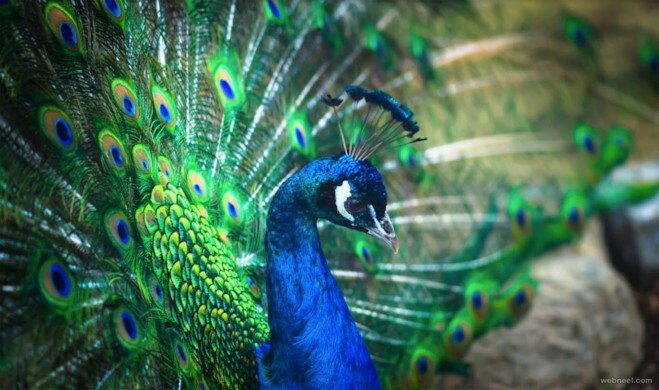 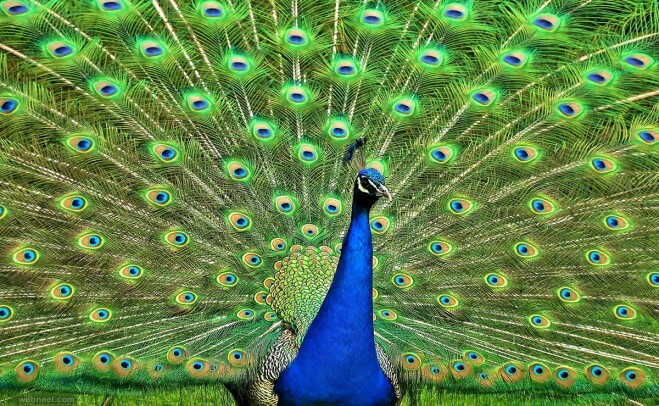 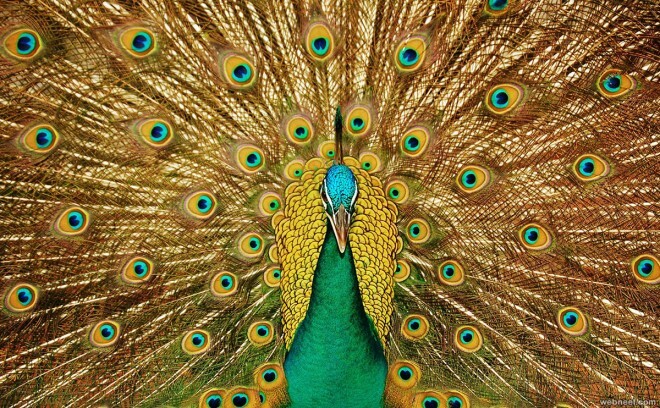 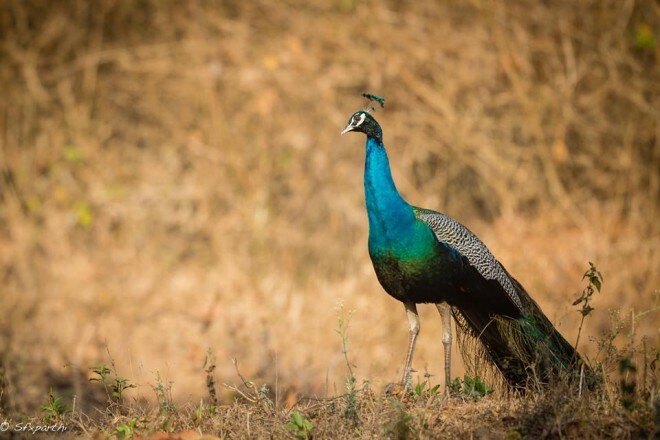 We adore them for their charisma, beauty and untouched splendor that they exhibit.The male peacocks usually have brilliant train with colours on their feathers to attract the female peahens.